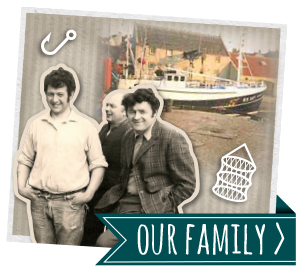 Robert Smith – co-owner of the award-winning Anstruther Fish Bar and Restaurant – comes from a long line of East Neuk fishermen, tracing his fishing ancestry back to the 1700s. His grandfather Robert Smith OBE served on steam drifters from the East Neuk before becoming a prominent skipper at the port of Granton, Edinburgh. 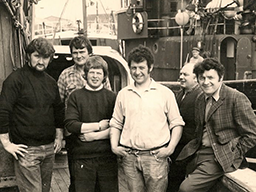 David Smith followed his father Robert to sea, beginning a long and illustrious career at Leith before working his way up to the helm of ‘Argonaut’ his own 72-foot fishing boat, built within sight of today’s famous Anstruther Fish Bar and Restaurant. 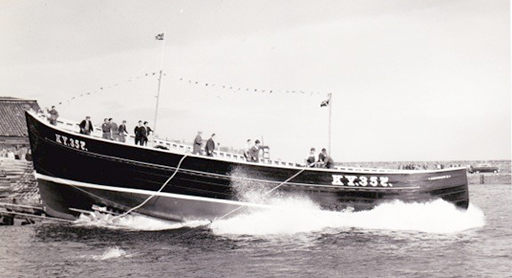 The Argonaut name adorned a series of successful fishing boats under his command, and their success made them – and David – well-known throughout the Scottish fishing industry. 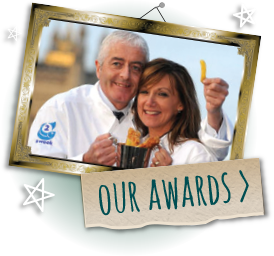 David also championed a series of innovations designed to make the work of his fellow fishermen safer and less arduous, and he was honoured with the MBE for his services to the fishing industry. Now, customers waiting to savour the fresh, locally sourced seafood of the award-winning Anstruther Fish Bar enjoy fascinating glimpses into the past, watching David’s archive film footage of the fishing industry of yesteryear on the restaurant’s big-screen TVs. 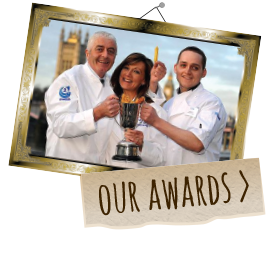 And the business is still very much a family affair, involving husband-and-wife owners Robert and Alison Smith, their children, nieces and nephews – all with the sea in their blood and the Smith determination to be the best. 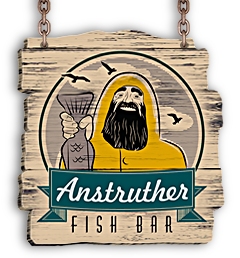 Visit the famous Anstruther Fish Bar and Restaurant to sample the freshest bounty of the sea, prepared and served by a family with a time-honoured passion for quality and service. East Neuk fisherfolk had strong superstitions. Woe betide anyone who uttered the words ‘rat’, ‘salmon’ or ‘pig’ on-board! The acceptable replacements were ‘lang tail’, ‘red fish’ and ‘curly tail’. 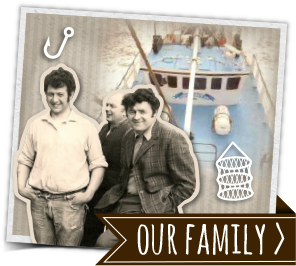 Robert’s father David has published memoirs of his East Neuk childhood and long career at sea. ‘Argonaut: Memories of an East Neuk Skipper’ is available on Amazon in both printed and e-book formats.